I can feel it. I can feel the love in these tracks from start to finish. Vancouver, BC group No Kids have found a sound that makes them stand out. 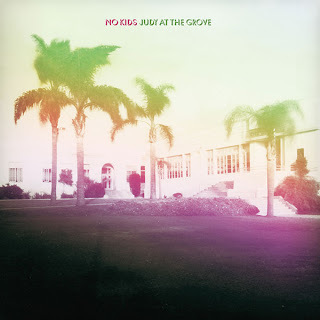 A slightly funkier feel than previous efforts, Judy At The Grove is an amazing piece of work. There is a certain sort of soulfulness that really grabs your attention and puts that groove in your step. Second track in, "I Want To Be Around" is a dazy slow ride full of funk and fun while "The Jazz Singer" has an eclectic, even slightly Scissor Sisters sound to it and is brought to life with an array of instruments that any Indie band would be proud to call their own. I'm pretty impressed with this band and will definitely be following their whereabouts on the off chance that I will get to see them live. If they can even come close to what they can produce in the studio then I guarantee their live shows would be a hoot!! Don't miss out on hearing this one! !